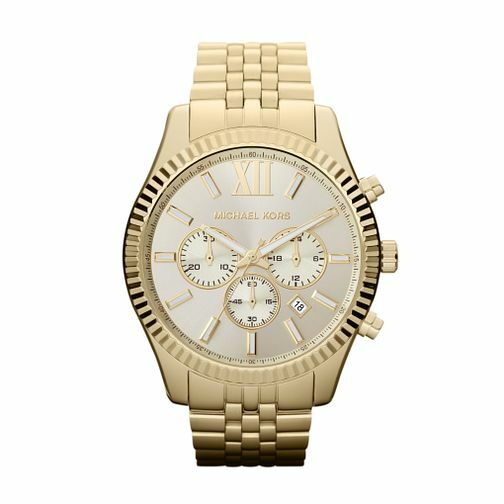 Simple glamour from Michael Kors' designer fashion watch range. A sleek gold tone bracelet watch set with a chic mother of pearl chronograph dial. A versatile timepiece ideal for everyday timekeeping sophistication. Michael Kors Men's Gold Tone Bracelet Watch is rated 5.0 out of 5 by 3. Rated 5 out of 5 by Anonymous from This Watch is awesome i would totally recommend it. It is an awesome watch. I bought for my brother and he loved it. Must buy. It's worth it!